Deer Park welcomes you to the finest campground in Buffalo, Wyoming! 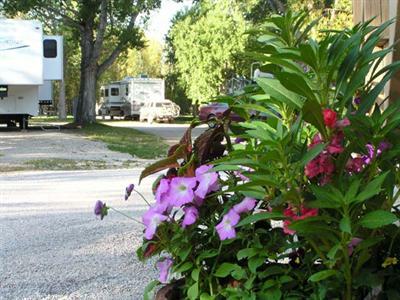 Welcome to Deer Park, an exceptional RV park and campground in Buffalo, Wyoming, where you can enjoy warm days, and cool, clear nights at the foot of the Big Horn Mountains. Summer weather brings gentle breezes, and low humidity. Deer Park offers sweeping views of the Red Hills, colorful grasslands, blues skies, and the snow capped peaks of the Big Horns. 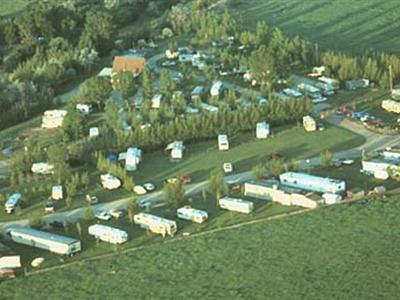 Deer Park is a full service RV park and campground offering a peaceful atmosphere, making it an ideal overnight stop, or your summer home. At Deer Park, guests can enjoy their surroundings while they relax by the large, heated pool or swim in the calming waters. The private, one mile walking path allows guests to get some exercise with a brisk walk, or amble down the path leisurely to glimpse some deer. There are also nightly ice cream socials where guests can mingle and meet other campers. 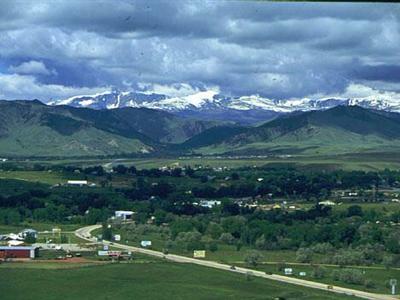 Buffalo, Wyoming is a small town bordered by cattle and sheep ranches, affording visitors small town American charm. Buffalo has quaint shops, numerous galleries and satisfying restaurants. Recreational opportunities abound, including fishing, scenic trails, horseback riding and wildlife viewing. Fishermen will delight in the numerous trout streams and lakes of the Big Horn Mountains. Lake DeSmet and the Healy Reservoir are also nearby. 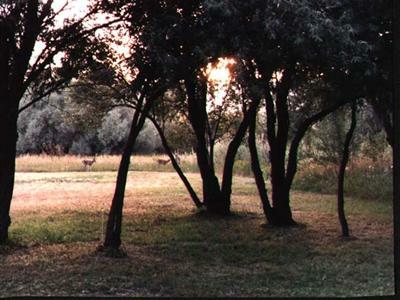 Deer Park offers an ideal home base as you explore the surrounding area. With mild temperatures and wide open views of the blue skies, it won't be difficult to imagine yourself on a cool, summer evening watching the sun set behind the mountains. Deer Park invites you to come and spend some time in Northern Wyoming and enjoy what the area has to offer.